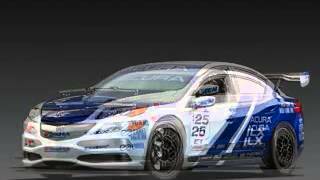 Acura along with ILX Street Build has unveiled the ILX Endurance Racer at the 2012 SEMA Motor Show at Las Vegas, prior to making its competition debut at next month's 25 Hours of Thunderhill endurance race. The ILX Endurance Racer is developed and prepared by Team Honda Research- West. The Endurance Racer is built using a pair of new Acura ILX “body in white” bare chasis. The race car gets all the safety equipments required by NASA which include full roll cage (designed by THR-W and built by Solo Motorsports); Bride Gardis III race seat; OMP competition steering wheel; Schroth safety harness; Brockway Engineering D Gauge digital OBD2 gauge; and Braille lightweight battery. 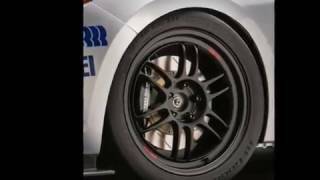 Changes to the exterior included a Baja Designs LED lighting system, a THR-W-designed front splitter and an APR GTC-200 rear spoiler. The Endurance Racer is powered by a K24Z7 engine and 6-speed transmission. Cold air enters the engine through an AEM intake, while DEI heat rejection products help keep the heat under control from exhaust gases flowing through the custom-built AEM/120 Racing exhaust. H&R suspension and Enkei RPF1 wheels fitted with BF Goodrich R1 race tires complete the Acura ILX competition package.